People often ask what scientific evidence there is to support our products. Despite the positive stories we have heard it is true that there still not a lot of hard scientific evidence in this area. This makes it difficult to give definitive information about how colostrum may be of assistance. We do know that colostrum supports a healthy gut and a healthy immune system – these two systems are integral to our overall health and well being. Much has been said about autoimmune conditions. We do not promote colostrum as a cure for any condition but anything that promotes a healthy gut and immune system is good for all of us. When we look at the pathology of MS, for example, we know that the myelin sheath is destroyed by our own immune system. 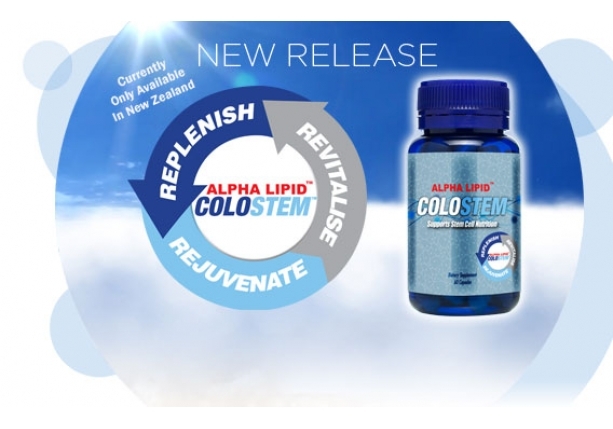 Colostrum helps to balance the immune system, PRPs are especially beneficial at cell to cell communication that instructs the body to have an appropriate immune response. Many autoimmune conditions may be linked to increased intestinal permeability (leaky gut) which allows larger proteins into the blood which the immune system reacts to – colostrum helps to maintain the integrity to the gut. It is important to remember that our products are not designed to treat any diseases; they are designed to support the normal, healthy function of the body, with colostrum, the particular benefit is on the immune system and digestive tract. · Any of the colostrum products are beneficial to support the immune and digestive system health e.g. 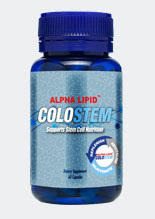 Alpha Lipid Lifeline or Alpha Lipid Colostrum capsules or tablets. · Cellworx provides PRPs which assist with immune balance. It is important to remember that colostrum is a nutritional supplement that supports a healthy digestive tract which is where the majority of our nutrients are absorbed; it is also where many medications are absorbed. For this reason anyone taking prescription medication must advise their healthcare practitioner that they have introduced new supplements so they can be monitored for any possible changes to their medication. Any person who has a serious medical condition or is taking prescription medication must work with their healthcare provider and discuss any changes to their routine, such as new supplements so that they may be monitored closely for any changes to their health and medical requirements. These are not drugs and the recommendation of products and lifestyle changes are not intended to offer therapeutic cures. Individual results from the use of nutritional products may vary. My thanks to Nutritionist Julie Wilson for her help with this update. The completely safe nutritional supplement colostrum has been shown to provide great benefits for people in many areas of sport. An increase in lean body mass, increase muscle strength, increase in strength, endurance and a speedier recovery time. All of these things can't help but give an improved sporting performance. Training hard for many hours can lead to a lowered immune system and of course muscle damage that effects sporting performance. Colostrum contains many bioactives that help correct this imbalance leading to an overall feeling of better health. It is the growth factors and immunoglobulins found in high levels in bovine colostrum that provide such noticeable results. One of special interest is Insulin Like Growth factor (IGF-1)that stimulates bone and muscle growth. Laboratory studies have shown a 14% increase in strength and a 15% increase in muscle mass. Glutathione is a powerful anti oxidant present in bovine colostrum which helps attack the free radicals that cause muscle damage. Lactoferrin is one of the naturally occurring anti inflammatory components in bovine colostrum. These have none of the harsh effects on the stomach of the non-steroidal anti inflammatory compound (NSAIDs). In fact colostrum helps to heal the gut damage done by such drugs. from New Image International is one of the best kept secrets to improve sporting performance. It is a sound nutritional supplement (a Nutraceutical) with all the vitamins and minerals needed to complete the Krebs Cycle essential for energy production in your cells. Probiotics for great gut health PLUS all the growth, immune and antioxidant properties of bovine colostrum. Each serving gives you 2000mg of Alpha Lipid colostrum which is unique to colostrum from New Image. Alpha Lipid is a delivery system making the colostrum much more easily dissolved and more bio available to the body. So if you are looking for a safe, natural nutritional supplement to help you train harder, longer and recover faster while developing increased muscle strength and lean body mass Alpha Lipid Lifeline is certainly worth a try..The proline rich polypeptides in colostrum have been shown to stimulate the release of your own stem cells which help heal the body and have anti aging properties. Contact me via the link at the top of the page. I can send it to you direct from our BSE free, pasture fed cows in New Zealand. 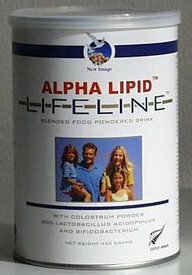 Alpha Lipid Lifeline will benefit all people of all ages whether healthy or unwell. It is even safe for your pets. .It is not a drug just a very smart way to a greater feeling of overall wellbeing. If like me it is winter where you live you may well be surrounded by family, friends or co workers with coughs and sneezes. Most often these are just signs of the common cold or allergies. If we are unlucky though it may be the flu. You may be particularly prone to catching this especially if you are elderly or immuno compromised. Recently the pandemic alert for the Swine Flu has been downgraded but in my part of the world H1N1 is alive and well. There are many people in our hospitals suffering from it right now. There has been a recent death attributed to H1N1. You may find this excerpt from Wellness Resources interesting. Bovine Colostrum directly boosts aspects of the immune response that are required to initiate a proper immune response to bacterial and viral infections, including the flu. Natural protection against bacterial and viral infection is required for the survival of humans. The undisputed powerhouse in this category is first milk colostrum, a mothers gift of protection to the newborn child. It is clearly associated with fewer digestive and respiratory infections. First milk bovine colostrum, since it can be commercially produced and used by humans, has been the subject of many studies. Scientists have identified many of its immune boosting activities and have suggested it as a potential tool to help combat flu. It has even been proposed as a nutrient to help with the problems of HIV infection. In addition to the natural antibodies present in first milk colostrum a new study demonstrates that it is also the unique carbohydrate structures (sialic acid viral decoys) that are found in bovine colostrum and other concentrated whey protein products that offer significant protection. This is a very clever mechanism, as a virus is looking for a sialic acid molecule thinking it is a human cell to infect. When it binds on to a food-related look-a-like it is bound up and rendered inert, and politely ushered out of the body without a whimper.